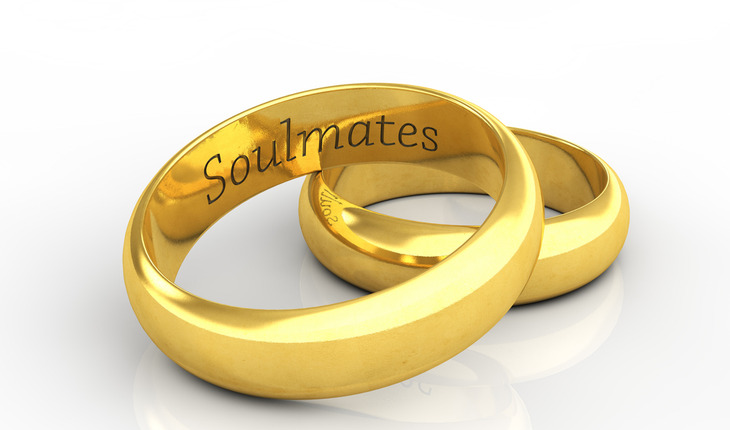 If you’re looking for love as a Thirdager, you’re probably best off ditching the notion that finding your “soulmate” will guarantee a good relationship this time around. That’s the finding of research done at the University of Toronto and the University of Southern California. The study was published in 2014 in published the Journal of Experimental Social Psychology. A release from UT reminds us that psychologists observe that people talk and think about love in apparently limitless ways but that underlying such diversity are some common themes that frame how we think about relationships. For example, one popular frame considers love as perfect unity (“made for each other,” “she’s my other half”); in another frame, love is a journey (“look how far we’ve come,” “we’ve been through all these things together”). These two ways of thinking about relationships are particularly interesting because, according to study authors social psychologists Spike W. S. Lee of the University of Toronto’s Rotman School of Management and Norbert Schwarz of the University of Southern California, they have the power to highlight or downplay the damaging effect of conflicts on relationship evaluation. Here’s why. If two people were really made in heaven for each other, why should they have any conflicts? In one experiment, Professors Lee and Schwarz had people in long-term relationships complete a knowledge quiz that included expressions related either to unity or journey, then recall either conflicts or celebrations with their romantic partner, and finally evaluate their relationship. As predicted, recalling conflicts leads people to feel less satisfied with their relationship—but only with the unity frame in mind, not with the journey frame in mind. Recalling celebrations makes people satisfied with their relationship regardless of how they think about it. In two follow-up experiments, the study authors invoked the unity vs. journey frame in even subtler, more incidental ways. For example, people were asked to identify pairs of geometric shapes to form a full circle (activating unity) or draw a line that gets from point A to point B through a maze (activating journey). Such non-linguistic, merely pictorial cues were sufficient to change the way people evaluated relationships. Again, conflicts hurt relationship satisfaction with the unity frame in mind, not with the journey frame in mind. The researchers advise that the next time you and your partner have a conflict, think what you said at the altar, “I, ____, take you, ____, to be my husband/wife, to have and to hold from this day forward, for better, for worse, for richer, for poorer, in sickness or in health, to love and to cherish; from this day forward ’till death do us part.” It’s a journey. You’ll feel better now, and you’ll do better down the road.